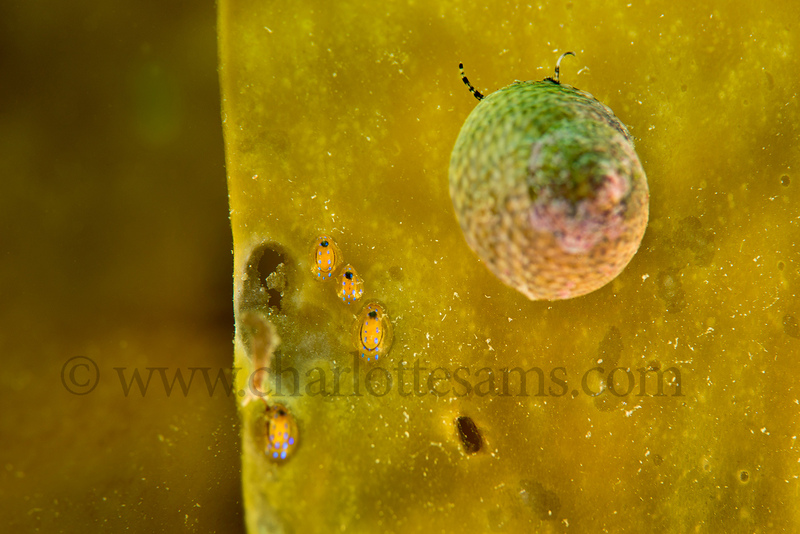 Kelp & blue-rayed limpets (Patella pellucida), accompanied by a sea snail (Gibbula cineraria). 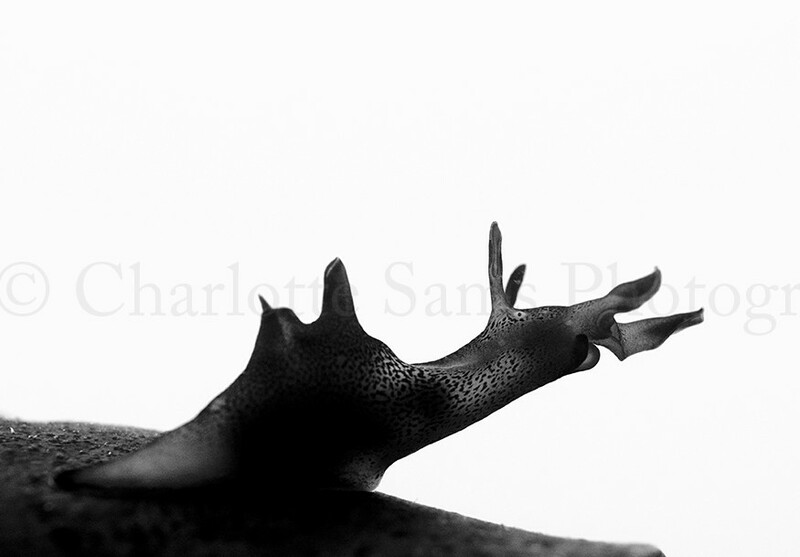 Common British marine life, and a simple composition sometimes makes for pretty strong images. 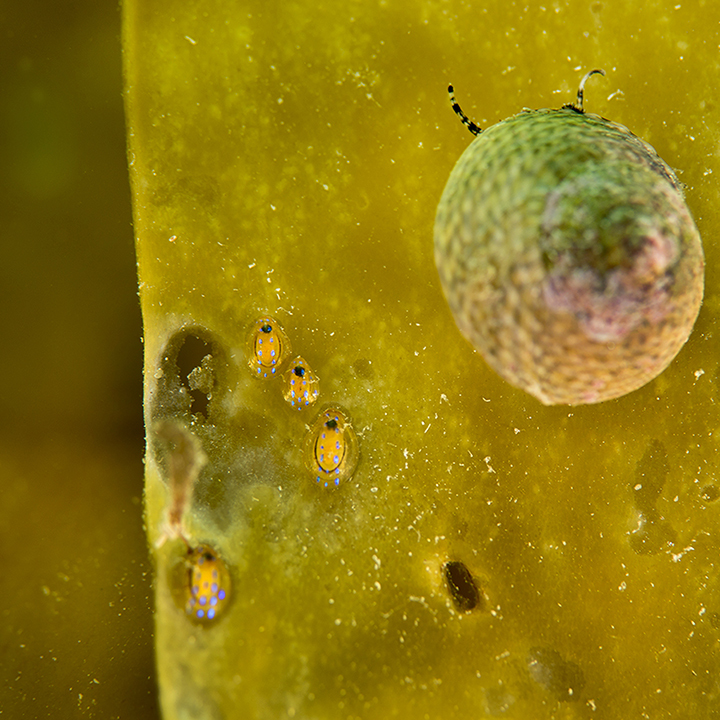 British reefs are fantastic and full of life especially at this time of year! Well worth a visit either snorkeling, freediving, or scuba. Nauticam housing. Nikon 105mm macro & D800. Cropping can dramatically change an image. It’s good to mix things up sometimes, defy the standard with the square, but also, to keep the flow of the image. Between these two images I honestly couldn’t decide which I preferred for a long time, but my current thoughts is the standard original frame size. I love square cropping, but for this image, the lines and block shapes are much more prominent with the larger image.